The B.C. Ambulance Service Station #133 was created in 1974. 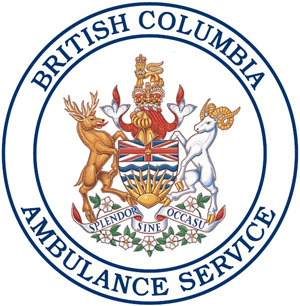 All ambulance attendants are volunteers, trained by the B.C. Ambulance Service. The ambulance service has an office and one ambulance in Tahsis. In case of an emergency, the Ambulance crew is paged. They take the patient to the Tahsis Health Centre Emergency Department, which has one Remote Certified Practice nurse on 24 hour call, plus a doctor available 24 hours a day by phone.